A lightweight cap, still on the green Elvish theme. 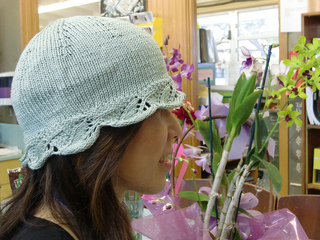 Uses simple lace techniques and knitting in the round. .pdf slightly altered on rows 5 and 16 thanks to the eagle eye of zander51.